now textures noise2, noise3, noise3s, and noise3ss are made from scratch, without traces of seams, also they are 1024px now. 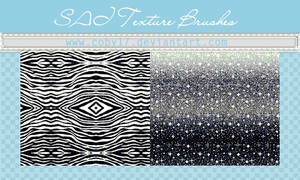 Pack of textures and screen-tones for Paint Tool Sai. There are 54 files in the pack (including size and type variations). 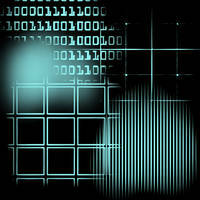 Most of them are 512x512, and all of them seamless. 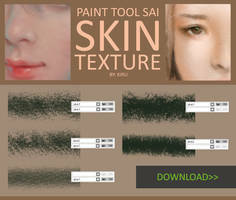 This pack is best for drawing different type of skin, noise, walls or stone. Most of them was generated and drew by me from scratch. Few of them was edited and modified by me. So all files are new or better textures that you can`t find in another packs. That is why they are not free. It took a lot of time to make and to balance good variants (even simple noises). You can purchase pack and please respect my work and don`t share/resell it. You can use textures in commercial work too without any credits (but you can add link, if you want). You can see what you get on the preview, and you can see how textures works with light or together (right column of balls). Пакет из текстур и скринтонов для Sai, всего 54 текстуры (включая типовые и размерные варианты). Большинство из них в разрешении 512х512, все бесшовные. Пакет более всего удобен для рисования различных фактур кожи, камня, штукатурки, просто шума. Большинство из них сгенерировано и нарисовано мною с нуля. Некоторые — модификации или доделки чужих под себя. Так что все файлы представляют из себя новые текстуры, которые вы не обнаружите в других пакетах. Поэтому они не бесплатны. Достаточно много времени потрачено на подбор и балансировку даже самых простых шумов. Вы можете купить пакет. И пожалуйста отнеситесь уважительно к моему труду и времени и не распространяйте и не перепродавайте содержимое. Можете свободно использовать и в коммерческих работах без указания авторства (ссылки — только по желанию). На картинке видно, что вы получаете и как текстуры работают со светом или друг с другом (правая колонка шариков). Is version correct (1.2)? Did you try hotate.exe : ? I know the problem exist only with portable version. Yes, try another version. I never tested with so old one. Or you can check ini-files to know how built-in textures connected with this version. I upgraded to 1.2 and it's showing up now, though I'm trying to get Wet Skin to appear on the top drop-down menu, Do you know how I would do that? hello i'm interested to buy this but i'm worried it might not work on my version of Sai for.... reasons. 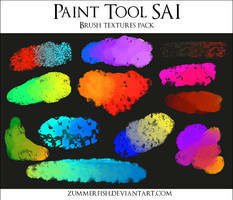 do you have any "test brush", free version or isolated one that work with the same setting that i could test to see if it work before to buy the full version ? cause i'm assuming you wouldn't refound me if i just tell you it doesn't work. which is understable of course, but i don't wanna risk loosing points. Hello. I understand. Rarely Sai builds can be very specific. It is easy to check. thanks for your reply and the test brush, it worked ! so i should be buying the full pack soon. 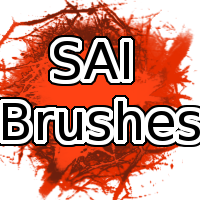 I purchased the brushes, and copied the BMP's to my Brushtex folder in SAI ver. 2. But the textures don't show up on the dropdown still. Are you sure, you are using latest version (20/09/2018 atm)? Oh! They show up now, but now some are missing. Like I see d-skinpore1 and what not but not Skintexture1 in my dropdown. Check carefully if there are similar names for textures or spare symbols or such mistakes. May be missed textures are in the other place of list. Купила. Спасибо за Ваш труд! Пожалуйста Надеюсь, что пригодятся. Мне пригождаются до сих пор: даже никаких новых текстур не делал кроме этих двух паков. Hi. Sorry for late response. Do you still need my help? 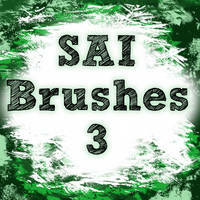 If you have Sai 2, you don`t need them at all. 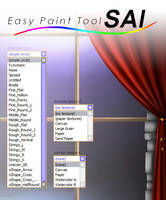 For Sai 1 you can use hotate.exe for automatical adding. Oh, I found what was wrong. My old computer couldn't read the read_me file. It only contained a link to where I bought the files from. 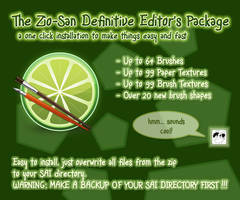 What version of Sai do you have? Ooo ive figured it out!! It was just a limit issue! 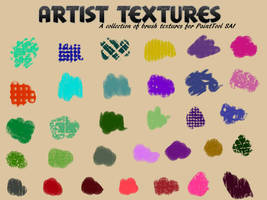 I am using Paint Tool SAI for like 5 years and only today I discover that you can add textures to it. 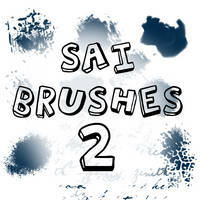 Thanks a lot for your brushes, they are awesome, I know that they will help me a lot. 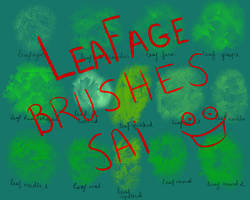 I used Sai about 4 years before I decide, that I am skilled enough to use textures. So, IMO, better later than erlier in this case. Hello.Download link is just for Hi-res preview. If you are purchaced textures and can`t download, ask dA-support about this problem. 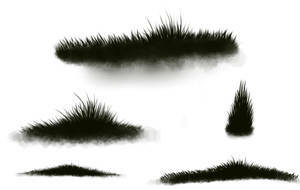 Many thanks for this grandios brushes. Using em by myself every day. 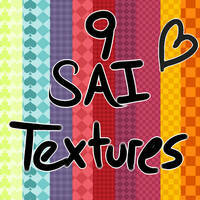 Check out free paper-textures: Papers for SAI, please! I hope, they'll help you! Please, read instructions once again. Nevermind, I seem to have resolved the issue. Sorry for the trouble;;; Thanks again for these wonderful textures!! Yes, may be Sai1 have limitation. Yeah, it ended up being too many textures! I deleted a bunch of old ones and the new ones finally appeared. Thanks, these brushes are fantastic! That's odd, I can't get the textures to show up in SAI, I've never had this problem before. I ran SAI as administrator, made sure the entire brushtex folder was not set to read only, accurately copied the config into the brushtex.conf file, and even restarted my computer and they just won't show up. How can I fix this? May be you have a copy of Sai and launch the second one? Did you try hotate.exe (application for autoadding textures)? Can these work with Gimp or Firealpaca? I am not sure: Fire Alpaca operates with textures another way. But it is just a pack of grey textures, so they can be easily converted to masks. I want to ask is it possible to only buy some of these and not the whole pack? Art will always be ART!